Kanuma soil from Kanuma, Tochigi prefecture, Japan is especially good for Azalea and acid loving Bonsai. Kanuma is fromthe main satsuki azalea growing area of Japan. 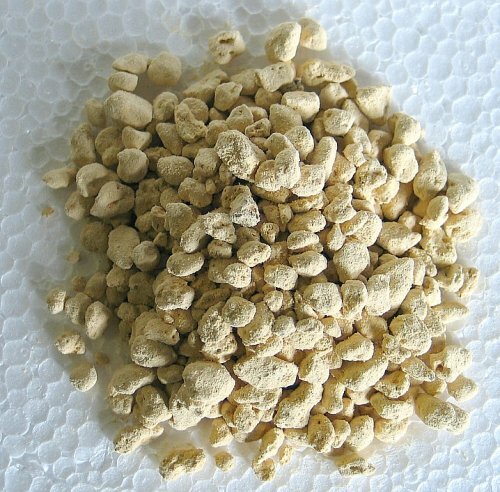 It is mined the same as Akadama and is used mostly for acid loving plants. Kanuma facilitates fine hair root growth. It retains moisture and can absorb more water than it's weight and yet allows for air space. It's PH varies from 4.5 to 5. Both Akadama and Kanuma simplify the repotting chores since roots are fibrous rather than hard. This soil is named after the region of Japan it comes from. Kanuma is mined from 10 feet below, allowed to air dry, gets crushed and then is sorted into different sizes. Ideal for acid-loving plants such as Azalea, Gardenias and Camellias. You can use it straight, or as an amendment. 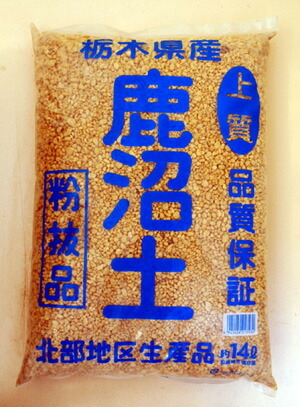 Available in small and medium Grain. Kanuma is largely used for acid loving plants such as Azalea, Gardenias and Camellias. This is the perfect soil additive for your tropical and azalea bonsai trees. It is lighter both in weight and color than akadama, but retains water and air just as well.